We recently held our Greenheart Dining Club event on Sunday 4/28/13 at our home on the east side of Tucson. It was a great success, and we had 20 guests that came to enjoy dinner served outdoors in the shade of our Arizona Territorial-style porch. The theme of this meal was "Vegan Italian-style... and featured my favorite Vegan Lasagna dish, along with a rich garden salad ---- with many of the greens and vegetables coming from our very own garden! What made this dressing so tasty was that the cilantro, basil, fennel, and green garlic all came from our own garden. Mix all ingredients together in a food processor. Season to personal taste. Chill and serve over salad. Yields approximately 1.5+ cups. For dessert we had my very special Tiramisu-style tofu cheesecake which was a delicious finale to a very satisfying meal. It was also my birthday which made this "finishing touch" especially nice!!! If you attended this dinner and would like to post your comments.... please do so at the end of this blog post, thanks!!! 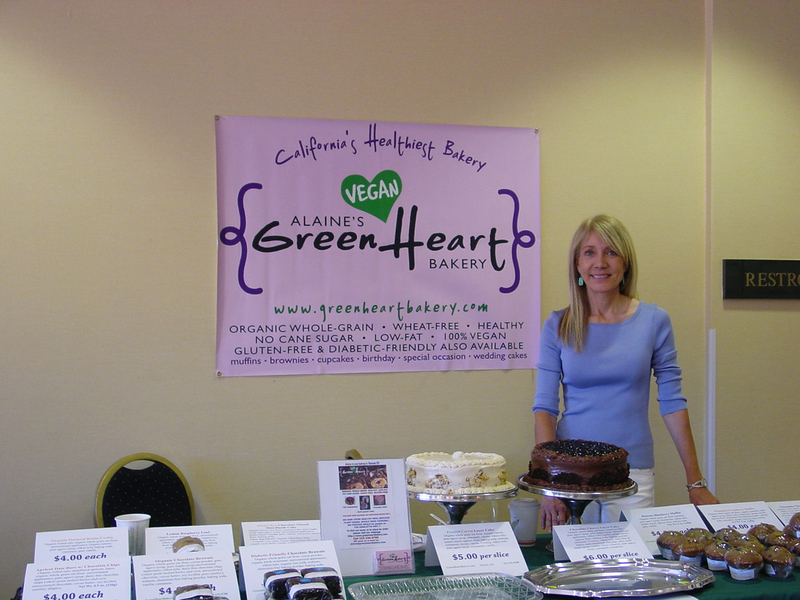 ---- COMING UP: Greenheart Bakery will be a food vendor at The HealthyYou Network's Symposium to be held at The DoubleTree here in Tucson on May 4-5th. 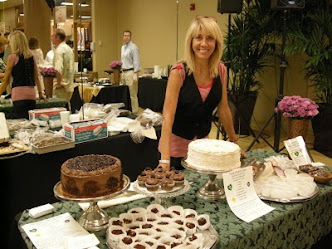 Please look for us .... and peruse through a great selection of healthy baked goods for sale during this event. Hope to see you there! Due to our participation at the Symposium on Saturday, May 4th... We will not have our normal booth at the St. Phillips Plaza Farmers Market on the particular day... but will be back again the following week of Saturday, May 11th. We are also pleased to announce that we will be a regular vendor at the weekly "Friday" UMC Farmers Market starting on May 17th..... in the plaza by the University of Arizona Medical School and Hospital. As always..... we welcome your comments and feedback! Alaine, we truly enjoyed the dinner: it was delicious, and both the company and atmosphere were perfect! Your hospitality was just great! Thank you again for inviting us, and we're looking forward to other events!! You grow all that in your garden?! Pictures, please! The dressing sounds amazing, it's definitely going in my recipe box.